The cast is to an angler, what a golf swing is to a golfer. Brush up on your casting skills to catch more fish and get more enjoyment from this wonderful sport. Fly-casting demands a combination of timing and co-ordination. It is not difficult to become an accurate and accomplished caster if you understand the fundamentals and mechanics of casting and their practical use. Experience is not always the best teacher, especially if that experience has been of a haphazard nature and acquired without giving much thought to the experience of others. A person may have a fly rod and catch fish with it for several years and still be a poor caster. Unconsciously they may have formed bad casting habits which have become so deeply rooted as to make their correction almost a matter of learning to cast over again. If you observe well, you will notice that many fly-fishers have a seemingly limp, aimless style of casting and slap their casts on the water with no precision or delicacy whatever. Then occasionally, you will notice one rod moving in perfect rhythm, it’s casts crisp and clean. The chances are its owner understands the simple mechanics of casting and uses them to advantage. Let me teach you these fundamentals, help you recognise your faults, explain why they are happening and help you to correct them. 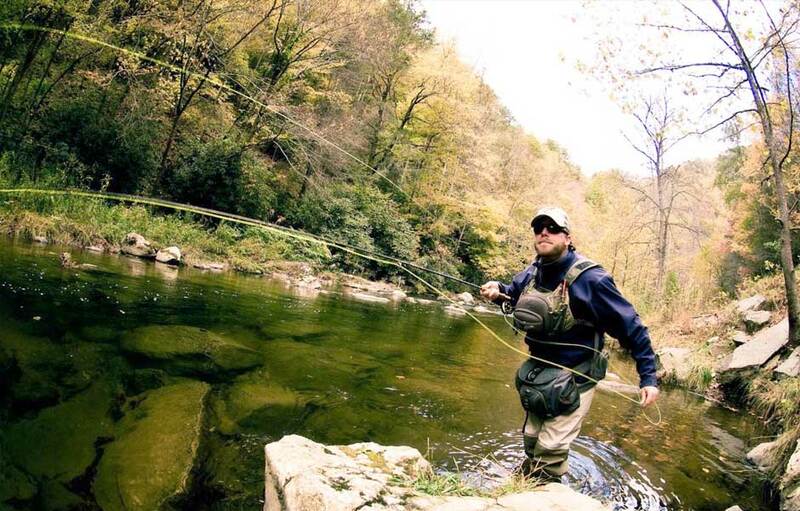 If necessary, fly-casting tuition can also form part of your guided day, as we adapt and use different techniques or disciplines to catch fish.